Morristown Medical Center should pay property taxes on virtually all of its 40-acre property in town, a tax court judge ruled Friday in a decision closely watched by other hospitals across New Jersey. Tax Court Judge Vito Bianco ruled that the hospital failed to meet the legal test that it operated as a non-profit, charitable organization for the tax years 2006 through 2008. Only the auditorium, fitness center and the visitors’ garage should not be assessed for property taxes, he said. A deeper dive into the OIG’s kickback alert: Should physicians be worried? In early June, HHS’ Office of the Inspector General issued a fraud alert addressing physician compensation arrangements. Although the alert merely underscored current law, physicians should take notice of the government’s warning. The fraud alert warned that physicians must be careful when entering into compensation arrangements, including medical directorships. “Although many compensation arrangements are legitimate, a compensation arrangement may violate the Anti-Kickback Statute if even one purpose of the arrangement is to compensate a physician for his or her past or future referrals of federal healthcare program business,” the OIG stated. A freestanding emergency center at the former site of Sacred Heart Hospital on the West Side wouldn’t improve access to care or reduce cost, as Elyse Forkosh Cutler says in a recent opinion piece. On the contrary, it would have a significant adverse effect on the quality and safety of health care for this community. Such a for-profit business would not be owned or operated by an existing hospital. Ms. Cutler does not address the inability of a stand-alone FEC to provide the comprehensive health services required to appropriately care for patients in an emergency department setting. Hospital EDs integrate vital patient care services that would be unavailable under the proposed model, including cardiac catheterization, stroke, obstetrics and other specialty care services for which time is of the essence. A boy about 6 years old climbed into an unoccupied Mayo Clinic helicopter at an air show near Mankato and fired up the engine, setting off a tense scene on the tarmac until a worker removed the child and shut off the chopper, a witness said Monday. 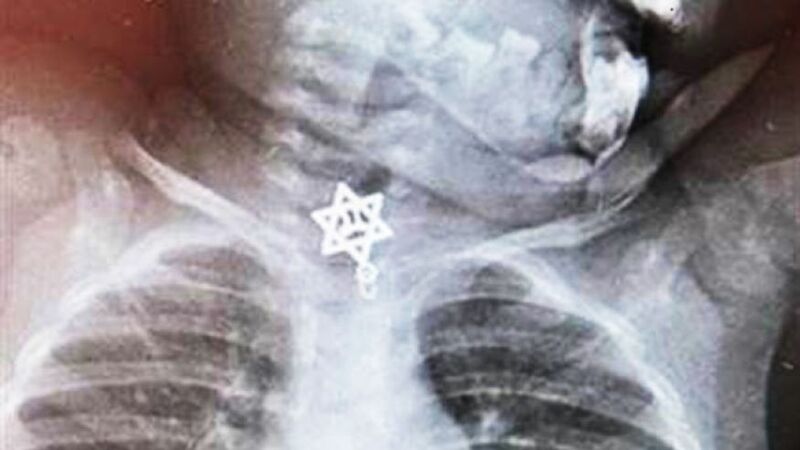 Doctors who treated a toddler whose cough wouldn’t subside found the source of her discomfort was a Star of David pendant that became lodged in her throat, Central European News (CEN) reported. Google is working on a medical-grade fitness tracking wristband, according to Bloomberg. Not only will it measure vitals like heart rate, pulse, and skin temperature on a “minute-by-minute” basis, it will also measure external information like sun exposure. Technically, what the NHS is calling the world’s first “synthetic blood” is actually biological in origin: It’s produced in vitro by extracting stem cells from the umbilical cords of newborn babies or from adult bone marrow. Placed in the proper chemical environment in the lab, stem cells can be stimulated along a particular developmental pathway that eventually leads to fully-functional red blood cells. Researchers have been developing the technology to manipulate stem cells for years, and now, our tools have advanced to the point that scaling up and producing entire blood bags seems within reach.